Due to the frequent appeal to us to the issue of securities purchases wholesale, paper supplier search, verification provider, we decided to make a brief overview of what to give an answer to these questions and outline our position, which we adhere to. The most frequent question is purchase of A4 paper DOUBLE A wholesale from Thailand, the most frequent case, when a customer found a supplier on ALIBABA with an attractive price, and asks to verify supplier. The most important point in relation to DOUBLE A, supplier and manufacturer can only be the company itself, so you can buy paper only one single supplier DOUBLE A (1991) Public Co., Ltd. official website http://www.doubleapaper.com/. The company has a well-developed dealer network, both within Thailand and abroad, built factories in different countries. A company representative said that they would never publish prices on any site (including by ALIBABA), as they control the markets all local (Thai) dealers and any shipping product would be illegal. The representative warned and advised not to get involved with scams that offer paper at prices below the factory selling in 2-3 times. 1. The cost of paper balanced on the market. For standard packing (a4, 500 sheets), the rated quality, factory price will be from $ 1.8 to $ 3, the price may change slightly during long-term contract, but not more than 5-10%. If you enter a request ALIBABA.COM, what about the price and give the search. Price may vary slightly due to the deterioration in the quality or increase the number (from 100 thousand. Packs). 2.It is necessary to work only with reliable, transparent providers, otherwise you can fall for the bait scams. We present you ALCOTT manufacturer, it is open to cooperation and provides a good dealer prices. 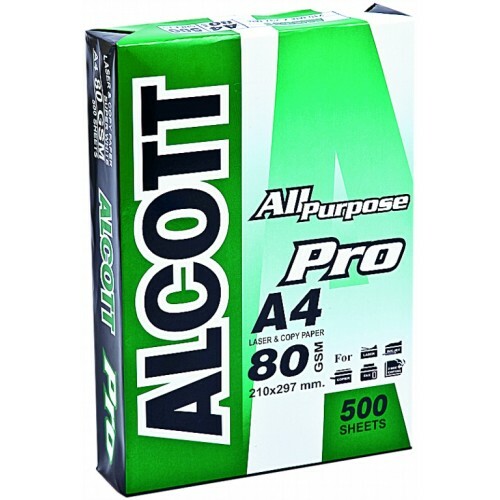 High-quality paper a4 ALCOTT ideal for use in copiers, laser printers, inkjet printers, offset printing. Grade: Photocopy paper with extra white 70 g/sm and 80 g/sm. The company enables the production of paper under your own brand, including with packaging and with your company logo, but it is important for medium and large quantities (from 100 thousand. packages), as originally charged for print package (depending on the number of colors and the type of packaging).